Whether you want to buy or lease a new INFINITI or schedule an INFINITI service visit, you’ll be well taken care of at George Harte INFINITI. Our INFINITI dealership in Wallingford, CT, employs expert INFINITI sales, service and financing team members who understand how to deliver top-notch customer service you can count on. Drop by our Wallingford INFINITI dealership and see why we’re your go-to location for all your luxury automotive needs. Interested in upgrading your daily drives in a new INFINITI? Browse the new INFINITI SUVs and cars for sale at our dealer and drive home in a new INFINITI Q50, Q60 or Q70. If you’d like a spacious SUV with plenty of room for the whole crew, come test-drive a new INFINITI QX50 or QX60. We also have new INFINITI QX80 SUVs that you can test-drive, or browse our selection of used INFINITI models and ask us about your INFINITI financing options. No matter which INFINITI you drive home, you’ll find that keeping up with factory-recommended maintenance and repairs is the key to your vehicle’s longevity. That’s why our INFINITI service center in Wallingford is here to help you through all your service and repair needs. Schedule an INFINITI oil change, battery check, brake service or other maintenance. We have genuine INFINITI parts and accessories for your convenience, and our team of highly skilled technicians are ready to give your prized vehicle the quality care it deserves. Drop by our Connecticut INFINITI service center or schedule repairs when it’s convenient for you. 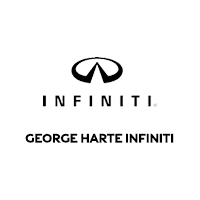 You’ll find George Harte INFINITI at 1076 S Colony Rd in Wallingford, CT. This is easy to get to for our friends coming from New Haven, Hamden, Meriden and beyond. Get directions to George Harte INFINITI and then visit us to discover your INFINITI lease and loan options!